When Crystal Regehr-Westergard found out her mother’s favourite chocolatey peanut treat was obsolete, she set out to manufacture the candy bar herself. When Crystal Regehr-Westergard found out her mother's favourite chocolate bar was obsolete, she set out to manufacture it herself. Thanks to her, the Cuban Lunch will soon be back in production. Crystal Regehr-Westergard admits her story is a little nutty. 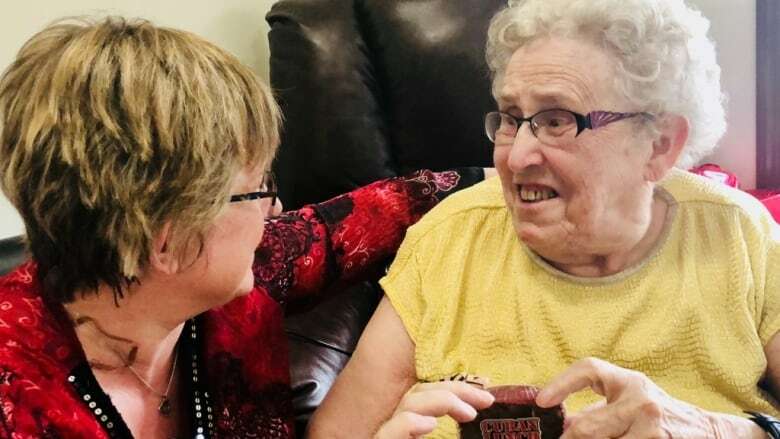 "I'm not even from the food industry, so it was kind of crazy to think I could do this, but you do crazy things for your mom," Regehr-Westergard said in an interview Wednesday with CBC Radio's Edmonton AM. The Cuban Lunch, a confection of dark chocolate and peanuts, was originally manufactured at the Paulin Chambers chocolate factory in Winnipeg. It was a favourite of western Canadians for nearly 70 years before it was pulled from the production line. The candy industry is a sticky business, so the Camrose physiotherapist knew she faced a rocky road. "This could have been its own reality show, because trying to produce a chocolate bar in Canada that hasn't been made in 30 years, there is a reason why no one has made it," Regehr-Westergard said. "I could tell for hours all the problems we've had in bringing this to market. But currently we think we have all of them ironed out." Regehr-Westergard first set out to find the elusive sweet for her mother, Elfie, now 84. "What would be nicer," she asked, "than bringing her her favourite treat? But I didn't realize what a long journey it would be." Through online sleuthing, Regehr-Westergard found a cache of surprisingly active online community forums populated by fans hungry for the Cuban Lunch. On the internet, people shared homemade versions of the recipe, and plotted ways for manufacturing to be brought back online. Regehr-Westergard decided her mission was clear. She alone would make it happen. "I thought well, 'I'm going to get my mother a Cuban Lunch bar. They say it can't be done but I bet I can figure out how to do it.' It became a bit of quest." Last year, when Regehr-Westergard realized the trademark had lapsed, she decided to buy it. "I discussed it with my husband, Bert, who is the sensible member of the relationship. He said, 'You know, that's quite possible.' "
The couple signed on for a nationally recognized food safety course, got certified and went online to buy the trademark from the federal government. With a click of a button, Regehr-Westergard was the new proprietor of the Cuban Lunch name. "It was cheap. Which was just another crazy turn in the story," she said. "It was so little, I try not to tell people." At first, Regehr-Westergard experimented with a few dozen batches at home, and rented a small commercial kitchen before she got the recipe just right. They didn't quit their day jobs, but she and Bert spent endless hours working on the formula and searching for prospective retailers. 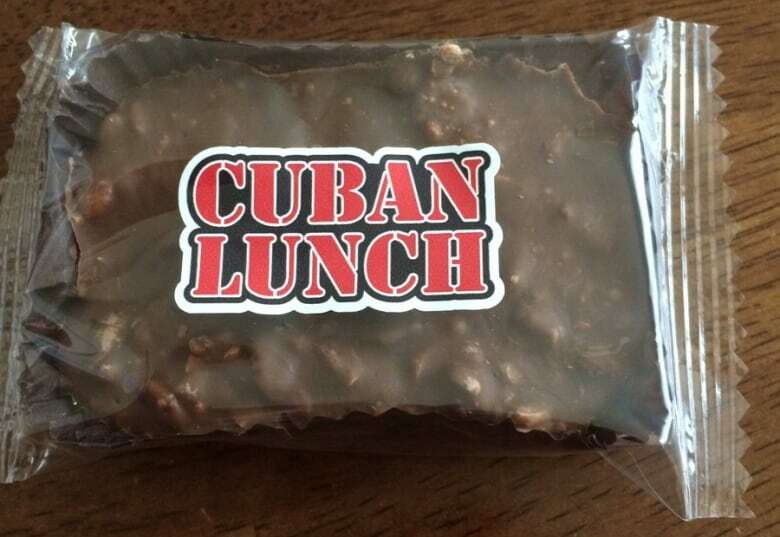 After being turned away by dozens of nut-free production facilities — and being sent wrappers too small to fit the bars — she finally found a factory willing to take on the Cuban Lunch trademark shape and recipe. She has hired the team at Brockmann's Chocolates, based in Delta, B.C., to mass produce the bars. Regehr-Westergard — who said her mother is delighted by the impending return of Cuban Lunch — said she is negotiating a national distribution deal, and hopes the bars will be in production by the end of summer. How many will they produce a year? Regehr-Westergard is ready to feed the masses. "As many as people want. Tens of thousands. Whatever our line of credit will allow."